* My clock on my nightstand is always set 23 minutes fast. I have no idea why - it just has been for years. And the sad thing is, I am TERRIBLE at math. So unless it is exactly 23 minutes after the hour (i.e. 10:23) I usually have NO idea what time it is because it takes me forever to add or subtract 23 minutes. *I love plucking my eyebrows. I know, another really weird quirk. I cannot walk out of the bathroom without plucking. Jeffrey laughs at me because he says whenever I am quiet he knows I'm sitting in there plucking my eyebrows (which is at least 5 times a day). I always take my tweezers with me when we travel and it is a sad day when I can't find them. 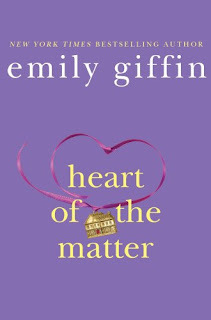 I'll just post about the last one I read - Heart of the Matter by Emily Giffin. 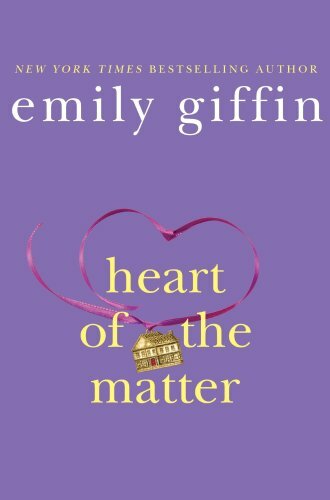 I read this book when we were on vacation, and while it was a pretty easy read and well written, it was not one of my favorite Emily Giffin books. 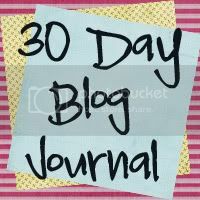 It was kind of unsettling to me as it dealt with infidelity in marriage and to me it made it seem all too common and acceptable (in my opinion). I would say it was a good "beach read" for me, but not one of those books that I could get wrapped up in and would want to read again and again.